Dr. Sam Gingher, from Greensboro, NC, holds a DMA in Piano Performance and Literature (2015), MM in Piano Pedagogy (2011) and MM in Piano Performance (2009) from the University of Illinois at Urbana-Champaign, and BM in Piano Performance from UNC-Chapel Hill (2006). 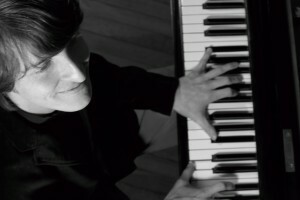 A prize-winner of many piano competitions, Sam has performed in piano and chamber music festivals in the US, Austria and Switzerland, and has played in various groups over the years in North Carolina and Illinois, from bluegrass to funk and jazz groups to chamber music. Sam plays accordion in the local band Almost A Quintet, and is pursuing research in classical improvisation pedagogy. An avid teacher, Sam is currently adjunct faculty at Millikin University in Decatur.